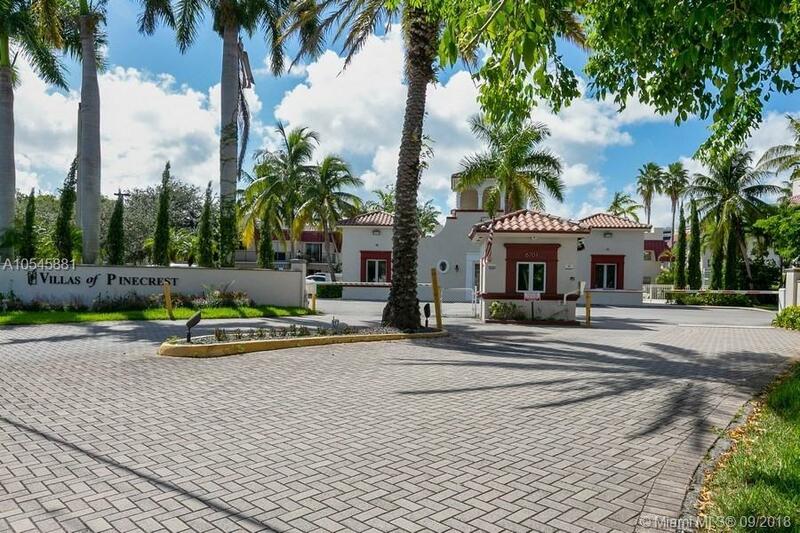 Bright ground floor corner apartment with extra windows and huge fenced patio at desirable Villas of Pinecrest, a beautifully maintained gated community in Pinecrest school district. New A/C, Tile floors, walk-in closet, updated bathroom, accordion hurricane shutters, 24 hour security, tennis courts, pool, gym, clubhouse, picnic area BBQ, children's playground. Walking distance to metro rail & shops. Close to major highways. Bus stop just outside the community. One assigned parking space, water, gas, pest control & cable TV included in monthly maintenance.